A sovereign Native American nation is suing Valve over gambling rights in the state of Washington. The Quinalt Nation, headquartered in Taholah in Greys Harbor County, Wash., claims in a lawsuit that Valve “does not have a license to operate, facilitate, or otherwise engage in any form of gambling whatsover” and that that its loot boxes in Counter-Strike: Global Offensive and Dota 2 infringe upon the Nation’s rights, as granted by the Washington Gaming Commission. In the lawsuit, which you can read in full here, the Nation alleges that “Valve is engaging in unfair competition with the legally licensed, regulated gambling operation owned and managed by the Nation” and that its actions “violate Washington law and harm the Nation.” (Valve is headquartered in Bellevue, Wash.) Much of the suit covers grounds familiar to gamers, discussing how loot boxes look and feel like gambling, both as purchased from Valve (“Valve’s crate opening process constitutes an online slot machine,” it alleges) and in terms of the “skins gambling” that goes on between players. 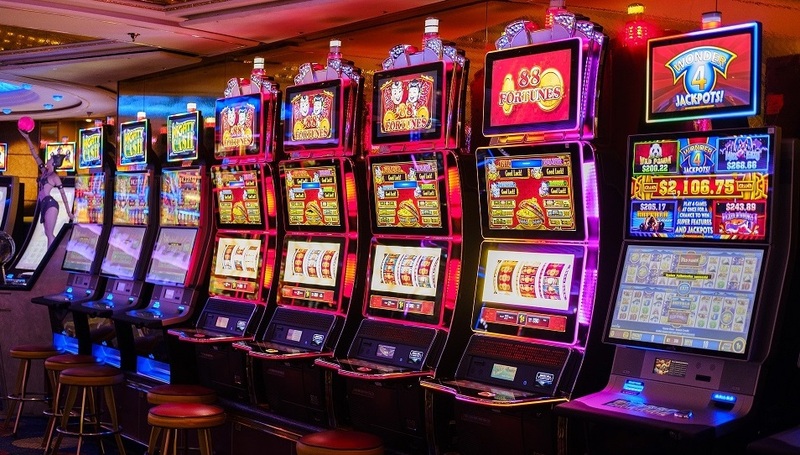 In essence, the suit alleges that Valve operates an “illegal scheme designed to bypass state-by-state gambling laws” and that Valve could prevent or eliminate such activity but chooses not to. The formal counts leveled against Valve include violation of the Consumer Protection Act, tortious interference with the contract between the Quinalt Nation and the state of Washington, and negligence. The Nations seeks “immediate injunctive and equitable relief to force Valve to stop offering the crate opening online slot machine game until the Washington Gaming Commission can examine it to determine if it requires a license,” as well as taking steps to suspend or eliminate skins-gambling websites. The standard disclaimer applies — “I am not a lawyer” — but from a layman’s perspective, it’s hard to see this going anywhere, at least in a way that benefits the Quinalt Nation. Valve’s defense will boil down to “It’s not gambling,” and that’s worked well enough so far in international circles that it’s hard to see a small Native American tribe (listed at 3,120 members) making much headway. In the larger sense, could there be some elements of the lawsuit that are referenced later, in the event that we do face a loot-box-pocalypse someday? I’ll admit, some of the statements, especially quotes from Valve employees (“This is not an accident. This is by design.”) were a touch chilling in their unrepentant nature. This suit could serve as a template for anyone else wishing to bring legal action against Valve in the future — possibly someone with deeper pockets than the Quinalt Nation. WE THE GAMBLING NATION DON’T LIKE YOUR GAMBLING. Oiii mate do you have a license for that.